Multifocal glasses also known as progressive glasses is a type of glasses that consist of different prescription within the same pair of glasses. It helps wearer to see far such as driving and movie clearly as well as near such as reading easily. It is useful for people of age 40 and above who have developed presbyopia (cannot see small words clearly) as it consists of reading power. You must have heard of another similar glasses called bifocal, where there is a line in between the lens. 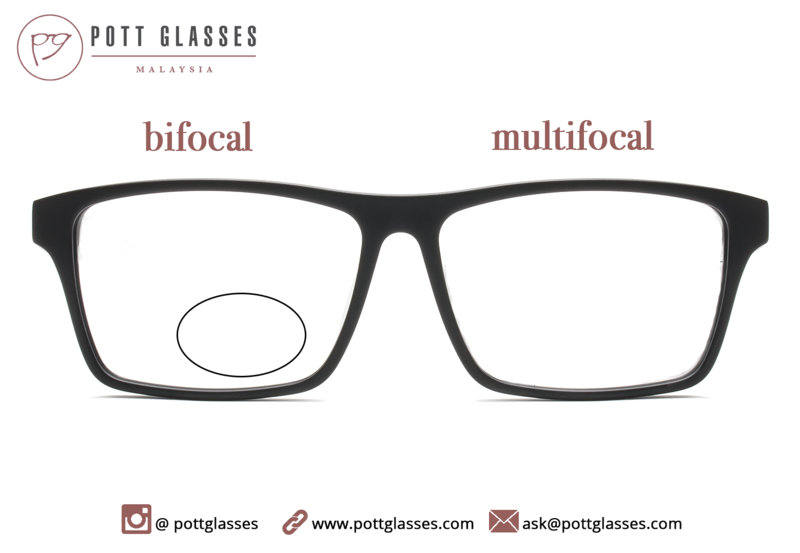 The image below illustrate the difference between bifocal and multifocal. Multifocal come in one single piece without any line, just look like normal glasses. Multifocal glasses, the name is pretty self explanatory, that is multiple focus points. Before we dive deeper into the multiple focus points fact, we need to understand that we need different power or prescription to view object of different distant. For instant, if your short sightedness is -2.00, you need that power to view very far object. But do you realise that you can actually see computer screen even when you remove glasses? That has validated the point that you only need lower power to see near object. Thus, multifocal consists of multiple focus points with different prescriptions. This is to cater adequate power for wearer to see object of different distances clearly. The image below illustrates the different level of prescription in the glasses. Why is it so complicated? Why are there 3 parts? Will it be difficult to wear? You need to understand how the eyes work and where they focus when you look at different objects. 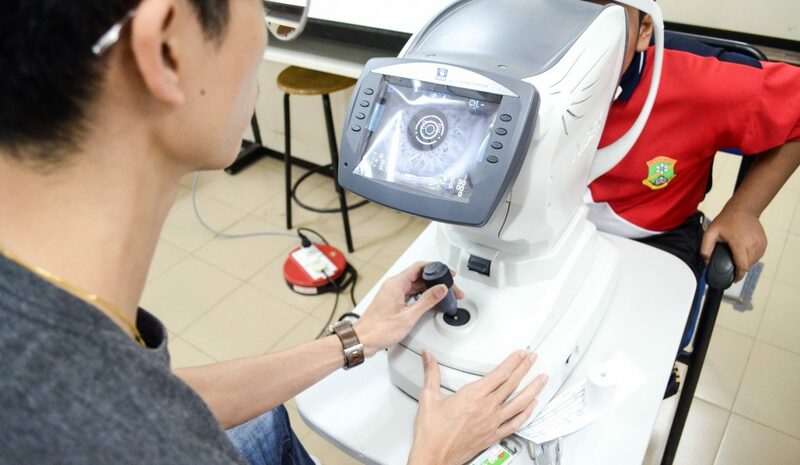 Multifocal is designed in such a way is because after many years of research, lens expert find out that when human look at far object, we only see through the top part of the lens. When we are reading, we only see through the bottom part of the lens. And in between, we see through the middle part when we use our computer. No, you do not need to keep adjusting the glasses just to utilise that part. Your eyes will adjust and fit in well. Well, if any of these bothers you, you may want to consider multifocal glasses. It provides the convenience for you the see clearly without the hassle of changing or alternating glasses or changing the reading distance. What to expect when you first started to wear multifocal glasses? 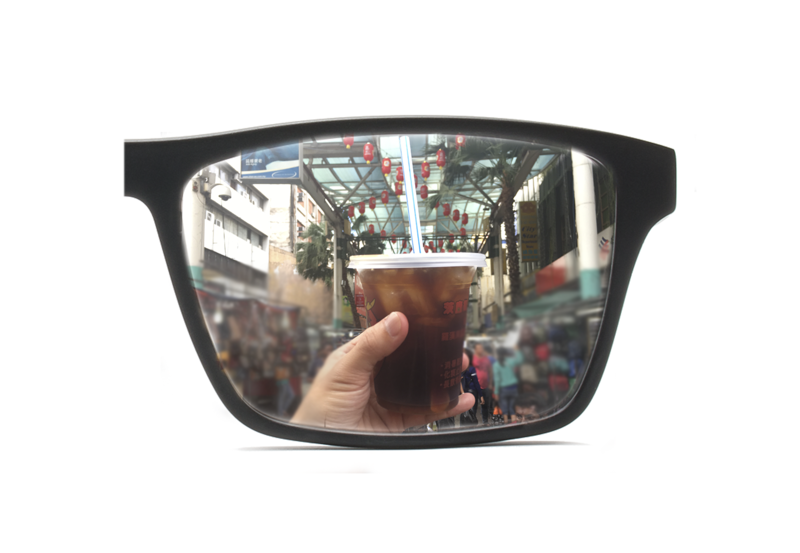 Until this point, you must be curious how does it feel to wear this multifocal glasses? Well, let’s assure you that it is not anything out of the world nor hard to wear.You can now see things clearly at all distances; smartphone fonts do not need to be enlarged nor stretching your hand even further to read. 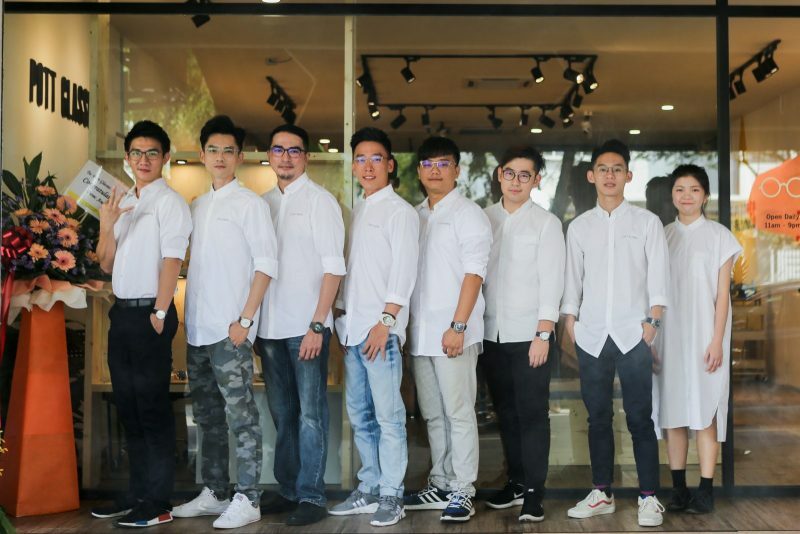 Every pair of multifocal glasses are customised to cater to respective wearer. 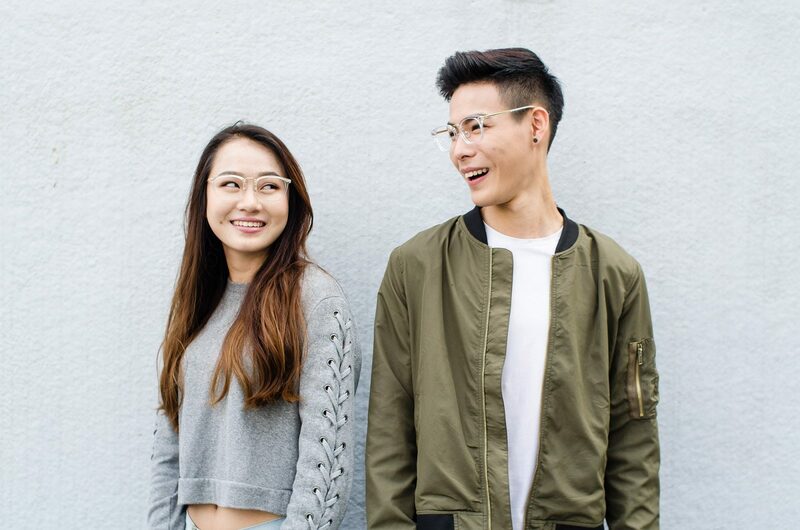 Meaning to say, your friend’s multifocal is specially made for him or her and you will not feel comfortable wearing it. The multiple focus points are well designed such that the different prescriptions work well with the eye movement. The multifocal lens design is so genius that it caters to the eyeball movement naturally. You do not need to worry about it. Having said so, in the beginning, it does take some time up to a week to get used to the glasses. You will slowly know the exact sharp point, and before you know, it has already been helping you to see far and near comfortably. You can now talk to your friends or do presentation and read the incoming message clearly without the hassle of removing your glasses or pull it further away. They will not even think that you have reading problem, you can hide you age and look young now! So how much do a pair of multifocal cost? 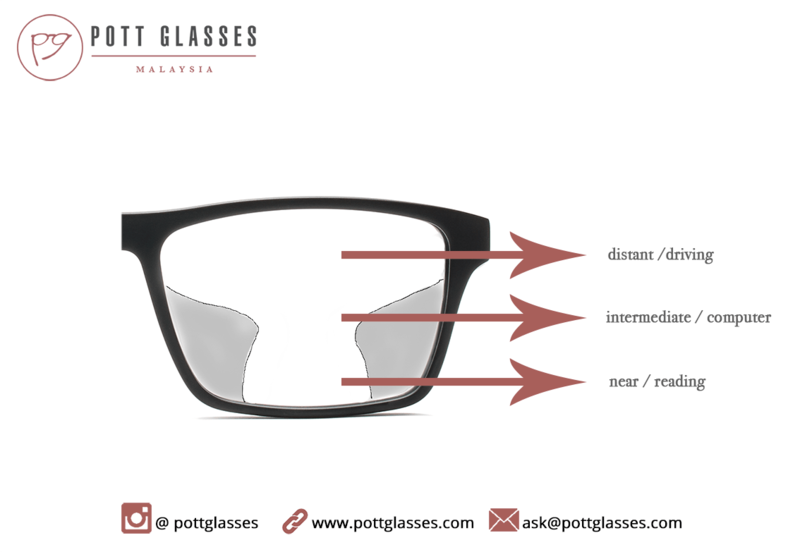 A pair of multifocal glasses start at RM659. Of course the premium range can go up to RM1800 or even RM2500. However, not everyone needs premium multifocal. If you’d like to find out more about multifocal price, check out here. If you’d like to find out more about multifocal glasses, feel free to make an appointment with us by filling the form below. Or simply give us a call at +603 – 56121967. We can give an over-the-phone consultation or thorough face-to-face consultation. What glasses is suitable for me? What glasses is suitable for me? 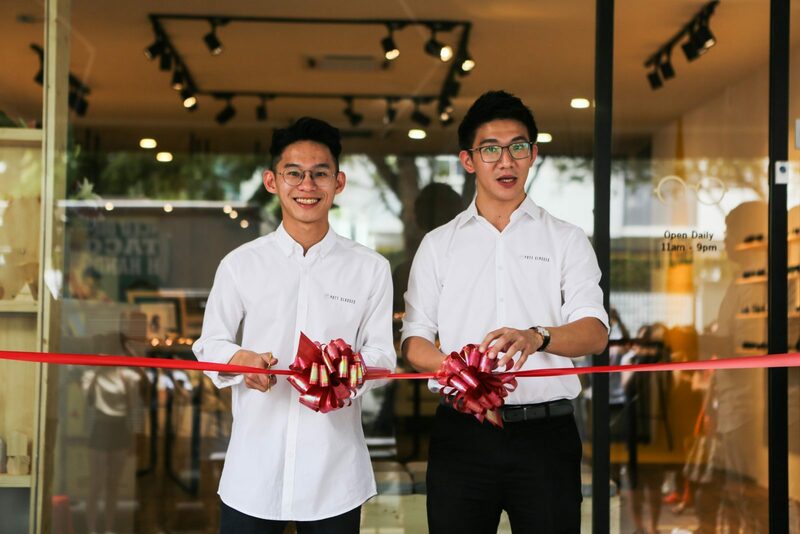 This article will inform readers of Malaysia about eyewear glasses decisions. Suitable for all age group, please read on. Intro: What glasses is suitable for me? Finding a suitable glasses should never be a life wrecking decision, but rather a very fun experience ever. The thought of you going to join the specky unit should never override your excitement to finally assist you in your poor eyesight. Wearing glasses nowadays are even more fun, since people are even regarding it as fashion essentials. 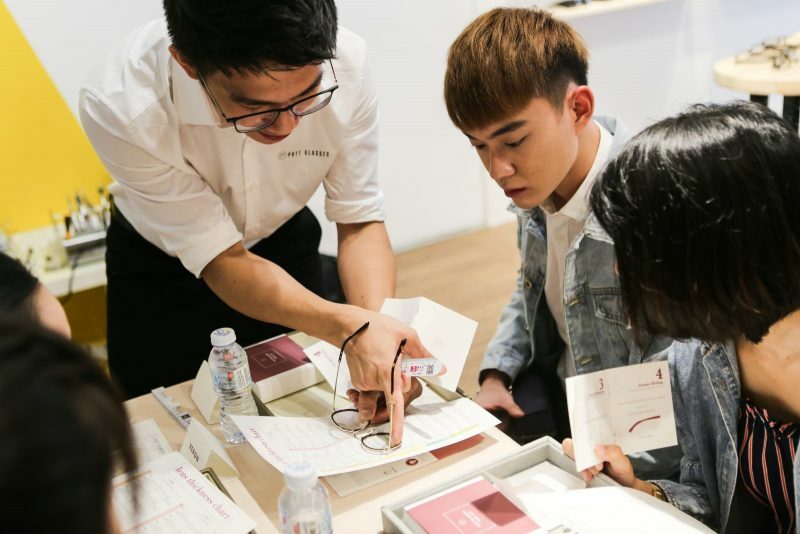 If you are finally thinking on getting a glasses, do make sure to consider a few things before consulting the expertise. 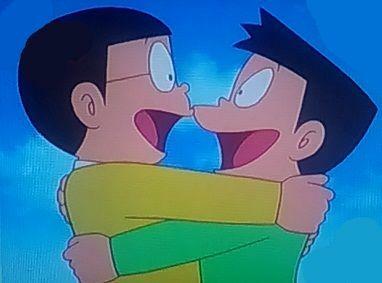 Question 1: Are you a Nobita or Suneo? How much do you need your glasses? How worse is your eyesight? By considering these questions you will become much clearer on what type of glasses that you need. When it is for a constant use for the whole day, you should consider something that is simple but always ready on the go. The frame should also of something that attune to everything that you wear. If it is just needed for reading or studying or only at certain times, something exquisite would be quite experimental yet authentic. Question 2: Adudu, Doraemon or Phineas? Wrong choice on specs style will override your face complexion a lot, if you don’t really pay much attention to it. You will either look like the next genius or just another unfit guy in the class; so better be aware of this. The easiest way to know your face shape is by taking a picture of yourself and analyse it. If you are still unsure of it, look at yourself in the mirror and use a lipstick on anything to draw the outline of your face. There even got online website that can advise you on the best frame for your face shape. With this way it is much easier to identify the frame that matches you very well. 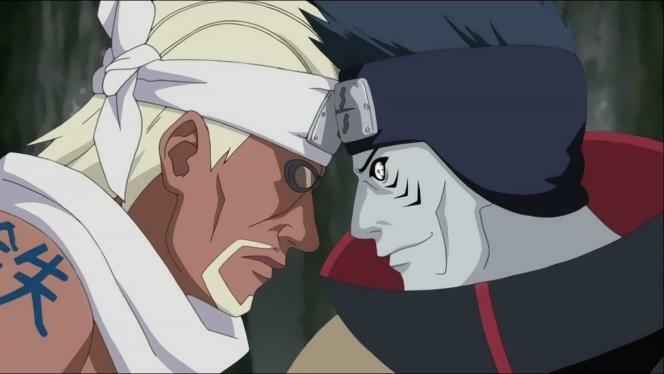 Question 3: Killer B or Kisame? Or what’s your skin tone? Important enough, for you to find something that blend very well with your skin tone. 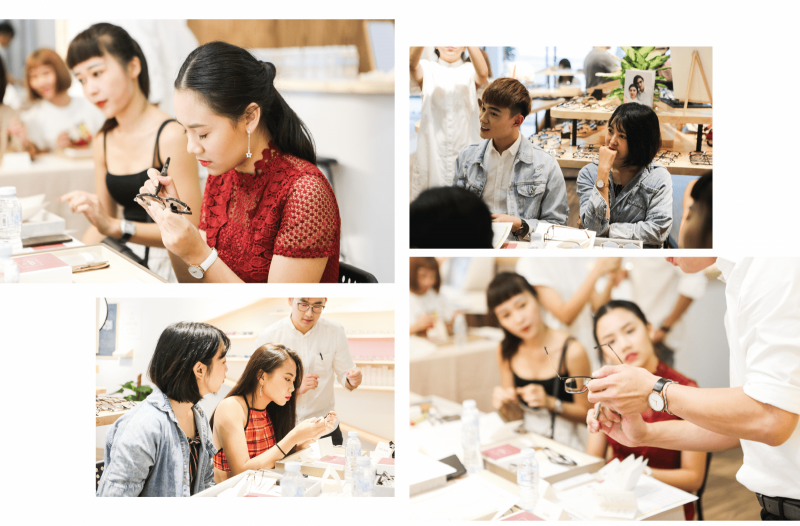 Those with fairer skin can surely fit with any colour but it doesn’t mean you can just simply pick on any colour with eyes closed. While on the other hand people with darker skin tone also has the same opportunity to be creative but both parties should consider to present with their best and warm look later on. Unless if you want to stand out with a fresh look, there’s always room for creativity. Experiment at its best. Question 4: Sarada, Denki or Kabuto? How daring are you? Any preferences in your mind? If you are those type that like to experiment on thing, then it will be good enough. Try out exotic colours or even unique and one-of-a-kind frame and be bold and different. Like, who knows yellow will be the next trend right? Truth is, everyone does. 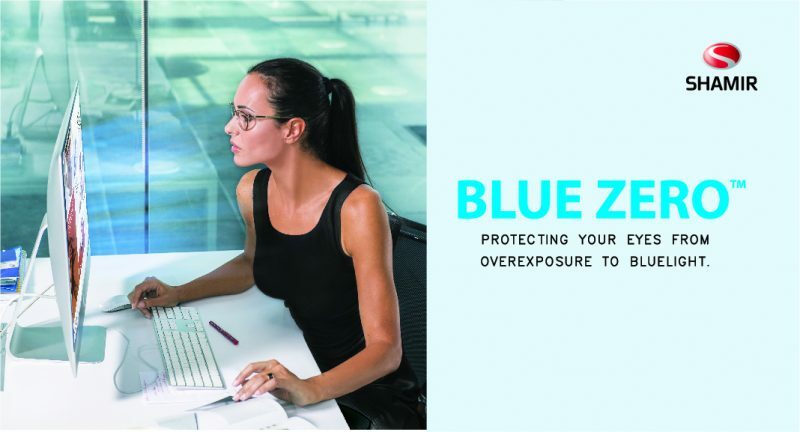 It is much more important if your eyes is sensitive to UV rays, so you better have your glasses that darken when you are out exposed in the sun. 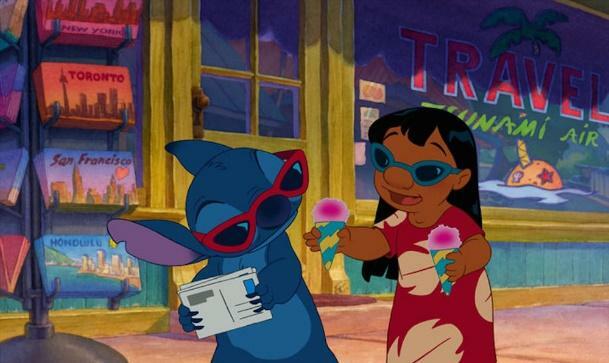 Even the all hail Lilo the Hawaiian beach girl knew that she need to take extra care of her eyes when going out exposed under the sun. Question 6: Ok I have decided. Where to next? Now you are all set to pay a visit to your trusted store. Consult the expertise and brief them with your preferences. And never feels scared to voice out your obscure feeling on finally getting yourself a pair of glasses. Certainly it is a new feeling but it is worth of your lifetime eyesight. You should feel free to talk about your concern and they will surely prescribe you with the best pair. You can also consult our expertise here at Pott Glasses. Alternatively you can make an appointment to have your eye tested and consultation. 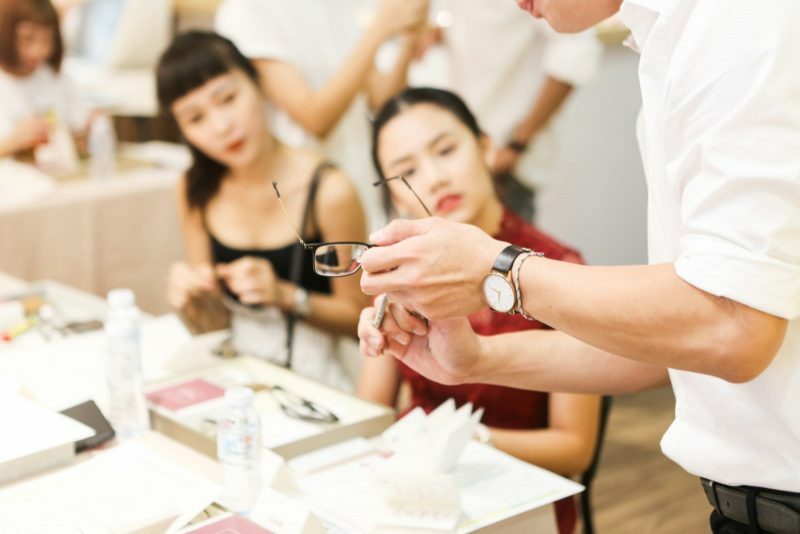 From choosing glasses to thorough eye test, we strive to give the bespoke recommendation. In addition, you get RM 35 discount when you make an appointment online. Why not?